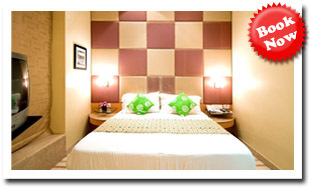 Club Residency Rooms at Residency Fort offer you a contemporary living with a host of modern day amenities. Deluxe Double room offers: Individually controlled air-conditioning, 24 hour hot/cold shower, International Standard Dialing Safe deposit locker, 24 hour free multi-lingual satellite, TV Tea / Coffee maker, Mini fridge 24 hour - World cuisine room service, Free English Daily National Newspaper & Broadband connection. 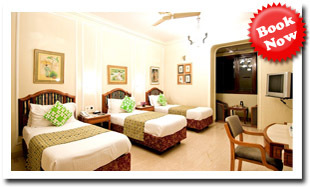 Deluxe Double Rooms at Residency Fort offer you a contemporary living with a host of modern day amenities. Deluxe Double room offers: Individually controlled air-conditioning, 24 hour hot/cold shower, International Standard Dialing, Safe deposit locker, 24 hour free Multi-Lingual Satellite TV, Tea / Coffee maker, Mini fridge, 24 hour - World cuisine room service, Free English Daily National Newspaper & Broadband connection. Styled in Mughul, European or Oriental themes, Regent Hotel rooms will please guests with taste and style and business moguls alike. The ethnic decors of our rooms echo different traditions that will transcend you to the respective era and place. 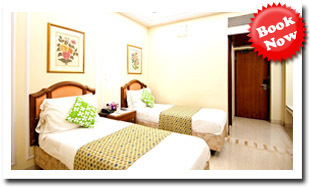 All rooms are spacious, elegant and well equipped with 2-line telephone with direct dial facility and voicemail, Broadband Internet connectivity, personal electronic safes, colour television with satellite programmes, well appointed work table, tea / coffee maker and hot and cold shower etc.